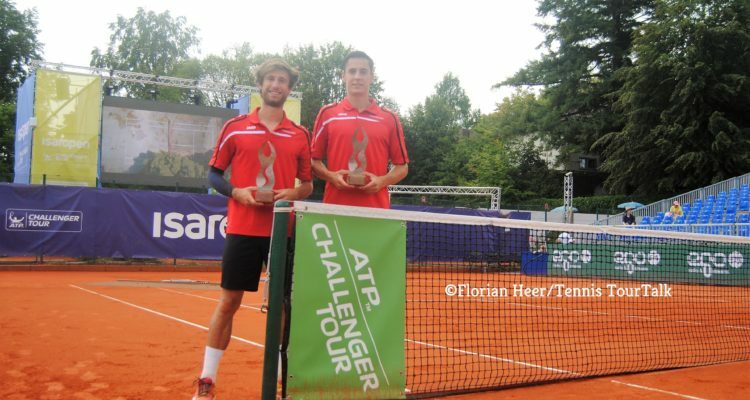 The Belgian duo captured their third consecutive ATP Challenger doubles title, their fourth of the season. Tennis TourTalk spoke with the in-form team after their biggest win in Pullach. Sander Gillé and Joran Vliegen continue their great run of form by clinching their third consecutive ATP Challenger title at the inaugural Isar Open in Pullach. 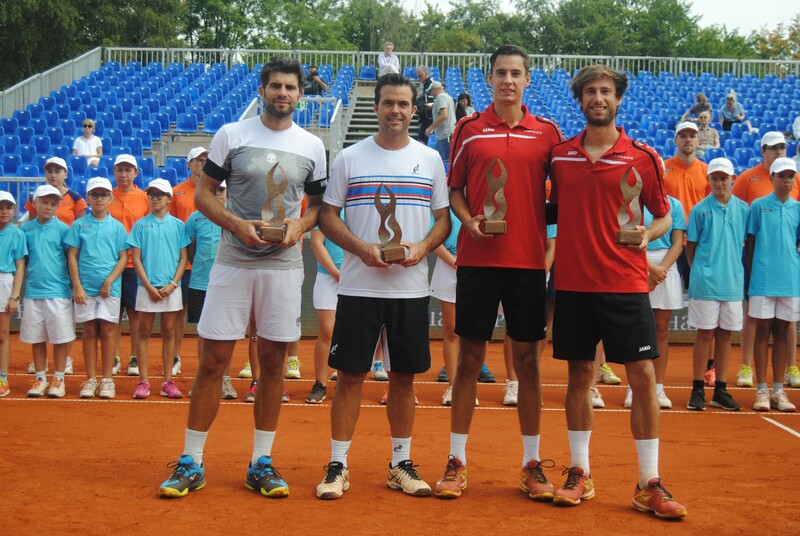 Following their triumphs in Prague and Lieberec, the Belgian duo defeated the experienced all-Italian combination of Simone Bolelli and Daniele Bracciali 6-2, 6-2 in Saturday’s doubles final of the €127,000 clay-court event. Gillé and Vliegen didn’t drop a set all week and finished the title match after only 53 minutes. Vliegen is 25 years old and currently ranked World No. 107 in doubles and is the leftie of this red-hot combination. Gillé is aged 27, a right-hander and sitting on World No. 96 in the ATP-Doubles Rankings. The pair captured nine team titles at ATP Challenger level, four of them came in 2018. The tandem carried the advantage to the the western bank of the River Isar, lifting the trophies in Pullach, which also secures the biggest triumph in their career. “We have mainly won at smaller Challengers. This has been our biggest title so far,” Gillé said. “We liked it a lot here. It is not easy to organize a new event like this, as you don’t have any experiences from previous years. The organization and the hotel were good. The weather was nice, maybe except for yesterday, but we still managed to play and we won, that also helps to have an extra good feeling,” Vliegen commented. Next up, however, the team will have a break. “We are taking one or two weeks off now. We have been away from home for three weeks. The feeling is good but what we maybe did wrong in the past was kept playing for too many weeks in a row, which is mentally very tough. It is also very important to take care of your bodies,” Vliegen explains. Both also had success off the court, graduating from University with a business degree in the United States. “I am not sure what I am going to do with it. I might continue studying but I am not sure yet. At least it is nice to have, as you never know what’s going to happen with your body. It is a nice back-up,” Gillé said. “It was also one of the better experience in my life to play tennis over there. We can take it with us everywhere we go,” Vliegen added. This entry was posted in ATP Challenger Pullach, ATP Challenger Tour and tagged ATP Challenger Tour, Isar Open, Joran Vliegen, Pullach, Sander Gille.